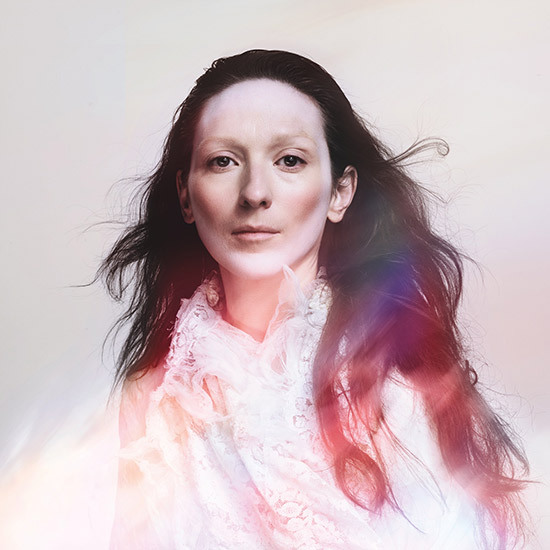 I was recently very lucky to hear the new My Brightest Diamond record in it’s entirety. It is just DYNAMITE. Shara Worden is one of my favorite newer artists and is so fantastically talented. Maybe it is more common these days to find musicians doing it themselves: writing, recording, arranging, producing? Certainly everyone tries to... or has to, often out of necessity, but I am rarely convinced it couldn’t have been better served by help, especially in the recording, arranging dept. This is not a dis to anyone, It’s just that I am just a big believer in the musical gene pool. You just can’t plan for people’s instincts; they are just too weird and unpredictable... and every side-job is very much an art. Thankfully. Anyway, all to say: Shara delivers in those arenas all by herself. She is a wonderful assured writer, a very creative, thoughtful composer of string and wind parts and what an instrument is her voice. It’s feels nice to be completely blown away by new music. Not to say she doesn’t ask for and get help from the best on this record: Undersung hero Chris Bruce on bass and guitar, Zach Rae-keys and the great Earl Harvin on drums. Mixed and mastered by iconoclast Husky Huskolds. Buy this when it comes out on Sept 16th. Shara’s site. I’ll be playing electric bass with the Jeff Parker quarter next week for this show. Jeff’s last trio record, A Bright Light In Winter, was on my turntable for a while and really inspiring. Chris Lopes on bass and Chad Taylor on drums. These guys really speak as a group. Beautiful. See below for a track... 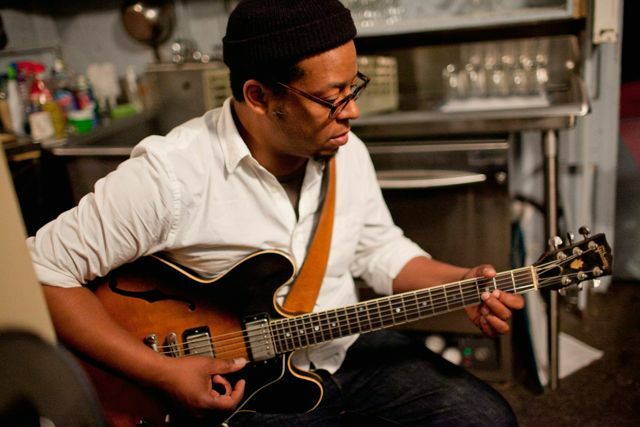 In addition to his work as a leader, Jeff has been a part of many great bands and project including Tortoise, Isotope 217, The Chicago Underground, and Joey DeFrancesco’s trio with George Flaudas. A beautiful and understated duo performance from Jeff and Rob Mazurek. 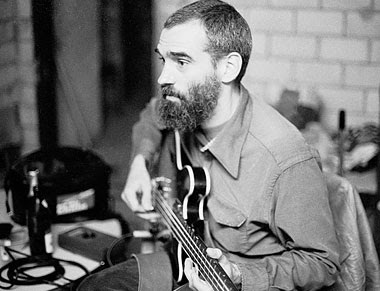 I have always loved Steve Swallow’s bass playing. He is just one for those players whose voice is unmistakable from note one. He is a ridiculous improvisor, an important composer and historically very connected to many important jazz-evolutionary threads of the past 50 years. I am by no means a completist here or an authority on his output or playing. In fact, I can’t say that I have directly stolen ideas or approaches to the instrument from him in the same way I have stripped parts off of others… but when I think about jazz music and bass guitarists who are real stylists, he is the first to my mind (other than of course Jaco Pastorius.) His genius on the instrument and unparalleled support harmonically are obvious but I think that it was his unapologetic use of the bass GUITAR in jazz that moved me first as a younger player. Something to hold onto in the Wynton-era when I was initially learning to play and unsure of myself. This blog entry at The Folks Who Feel Jazz blogspot really covers him well in a way I am unqualified to do. It is a REALLY great post. Check it out HERE. I know that this post ( and many others) are probably too obvious for many of my muso friends, but I feel like shouting out about this hero. Recent Steve Swallow with his own group of amazing players: Jorge Rossy, Chris Cheek, Steve Cardenas and the great Carla Bley.